From Liberty Hardware, give your bathroom the perfect finishing touch with the Porter collection. Designed to coordinate with Delta Porter bath faucet and accessories, the Porter Collection offers traditional styling with a substantial silhouette. The rich Oil Rubbed Bronze finish offers a warm, rustic look and feel. The Liberty French Romantics 3 in. Oil-Rubbed Bronze Half-Round Foot Pulls (10-Pack) are casual style pulls featuring die-cast zinc construction with a finish in oil-rubbed bronze with copper highlights. Mounting hardware is included. Ideal for use as an accent for kitchen or bathroom cabinetry or furniture. 3 in. Traditional Spoon Foot Pull The Liberty 3 in. 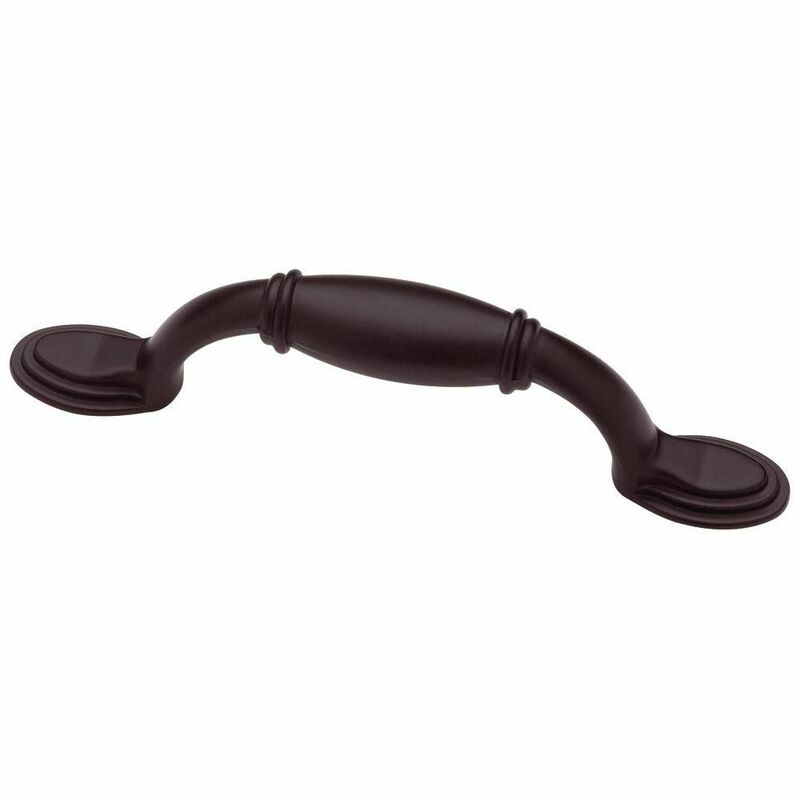 Oil-Rubbed Bronze Spoon Foot Pull features casual design and an elegant finish to add classic style to your kitchen or bathroom cabinetry. Make a statement without having to say anything at all when this pull is displayed. Mounting hardware included for easy installation. 3 in. Traditional Spoon Foot Pull is rated 4.4 out of 5 by 7. Rated 5 out of 5 by Christine from Nice update!... Nice update! Rated 5 out of 5 by Anonymous from Oil ribbed bronze spoon foot cabinet pull Just what I needed. I redid my kitchen a few years ago and need another pull. I was very glad I was able to get a match. Rated 5 out of 5 by Linda from Oil Rubbed Bronze Traditional Spoon Foot Pul The color went perfectly with Kraftmaid cabinet color Peppercorn. I wanted the pulls to disappear into the cabinet since my fixtures were chrome. Very happy. Rated 2 out of 5 by kathy from Cabinet door handles The are not completely round and when you grab them to open the cabinet door they have some sharp edges and your fingers get scraped. They are very uncomfortable to use. Rated 5 out of 5 by smaosi from Really Good Looking Cabinet Handles I purchased several handles and matching knobs from various stores and took all of them home to see what actually looked great on my existing cabinets and these were the ones from the get go ! Rated 5 out of 5 by CyanMagentaYellow from Solid black handle with a touch of class I was looking for a solid black handle to give a "pop" against my white cabinets. The detailing on the handle is a nice touch and is what sealed the deal for me. Although the description says "oil-rubbed bronze" these are solid black, and don't have the copper/bronze highlights. If you want those highlights, choose a different handle - Home Depot has many to choose from. Rated 4 out of 5 by jetjock from Good quality I was a bit disappointed in that all but one of eight were almost totally black. As "rubbed bronze" they should have had more of the bronze highlights showing than they did in order to match the same colors in the sink fixtures.